the thrill of it all - moments of joy in the wedding chaos: Friday at Crown Metropol and Queen's Park, Moonee Ponds. Friday at Crown Metropol and Queen's Park, Moonee Ponds. Two super weddings on the weekend. 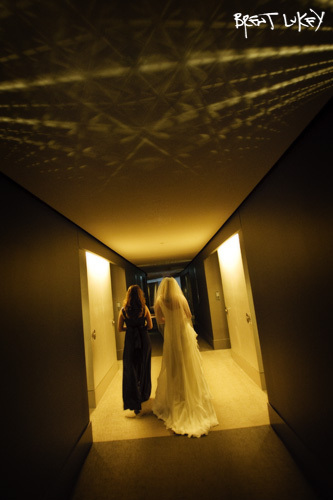 These photos are from Friday starting at the Crown Metropol hotel and ending at Ascot House receptions. I should add a big thanks to my mate Rodney Dekker for helping me out on this shoot. It was the light pattern on the ceiling that inspired this shot (above). That's all in camera right there folks. In my typical style - find a good background with nice light, give simple direction, then let the couple be themselves (above).